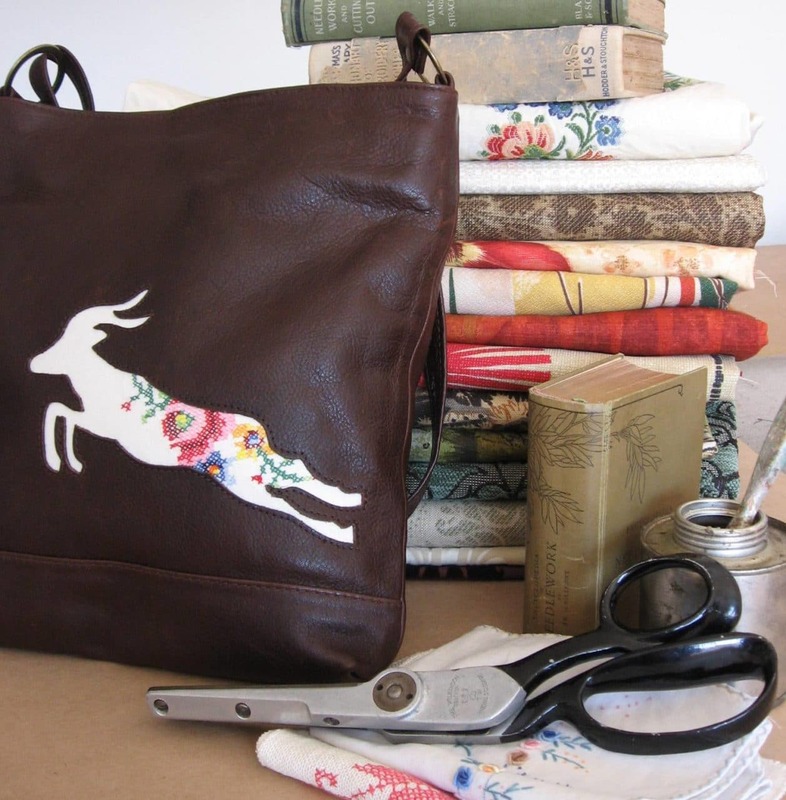 Trip Handbags & Accessories began in 2006, based in Cape Town, South Africa, run by owner and designer Susan Didcott. 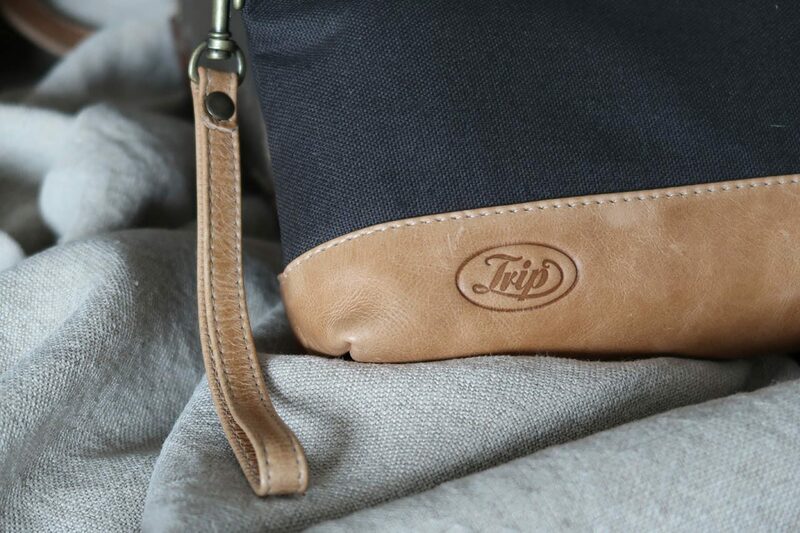 Trip handbags are her own original design inspired by beautiful fabrics and leather with simple, functional styling for everyday use. Trip has since morphed into Trip Clothing & Accessories, with the addition of a range of African print clothing. Using brightly coloured, bold African prints, that reflect our warm climate. The garments are wearable and versatile, yet striking! They speak to those who are proud of their African heritage and want to flaunt it; and to those visitors that may have come and experienced something beautiful! 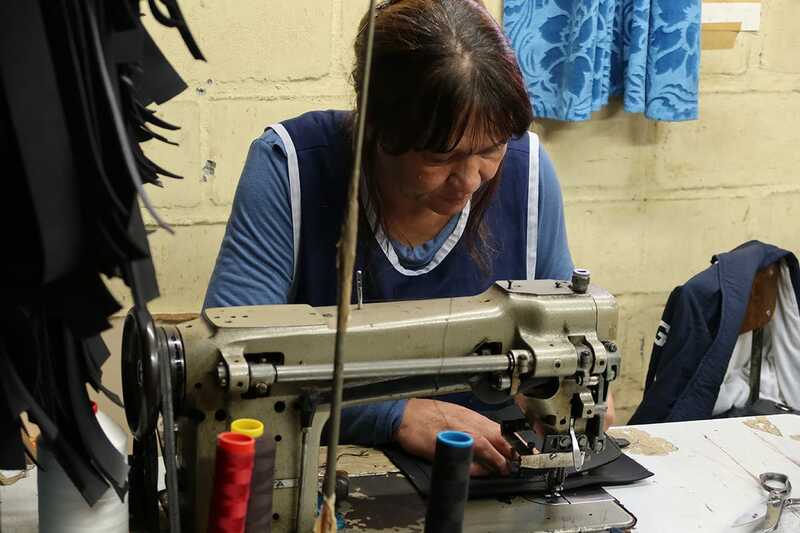 All products are handmade in limited quantities, with great care, in Cape Town. 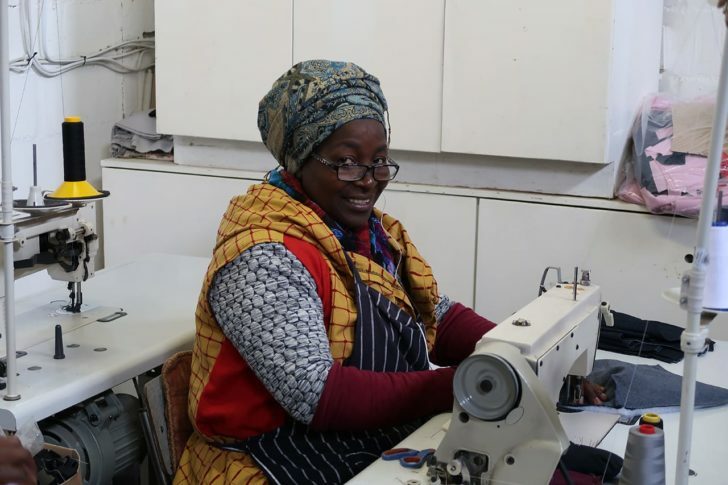 Using small factories dotted around Cape Town, the brand is passionate about manufacturing locally (with people we genuinely like! 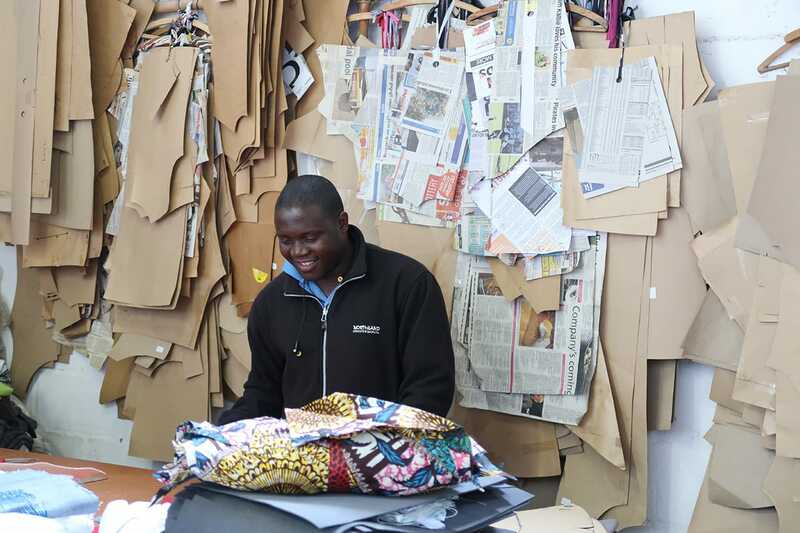 ), in a sustainable way, and keeping local skills alive. We attempt a zero waste policy as far possible! The brand celebrates things beautifully handcrafted, and is aimed at those who recognise quality, appreciate functionality, AND enjoy being individual! All products are made to last, and to stand the test of time in both their make up and their styling. Great care is taken to try and offer unique styling, coupled with 'old fashioned' values in manufacturing. 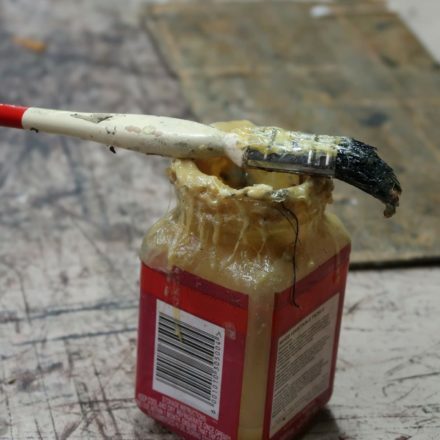 Materials are all locally sourced, and preference is always given to using local materials if available. 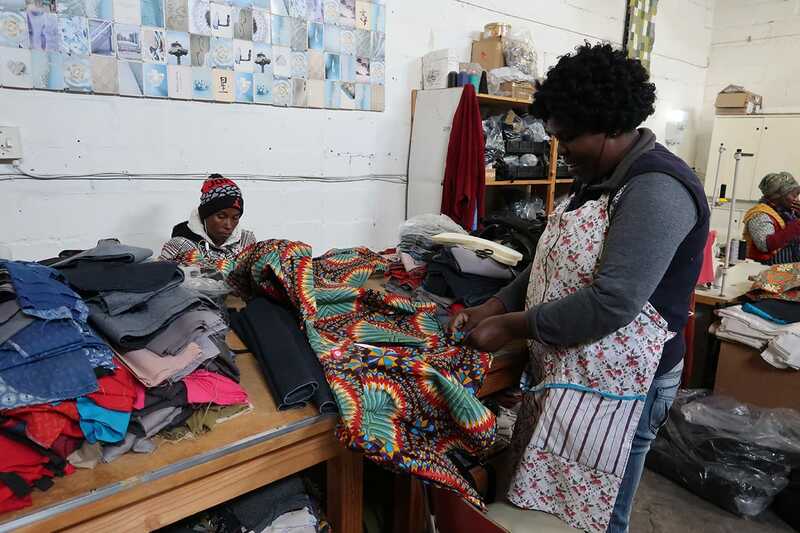 Below are some images of the various small factories around Cape Town that produce for Trip, pictured below is a Fair Trade Accredited factory outside Masiphumele, where most of the clothing and some of the cloth bags are produced. 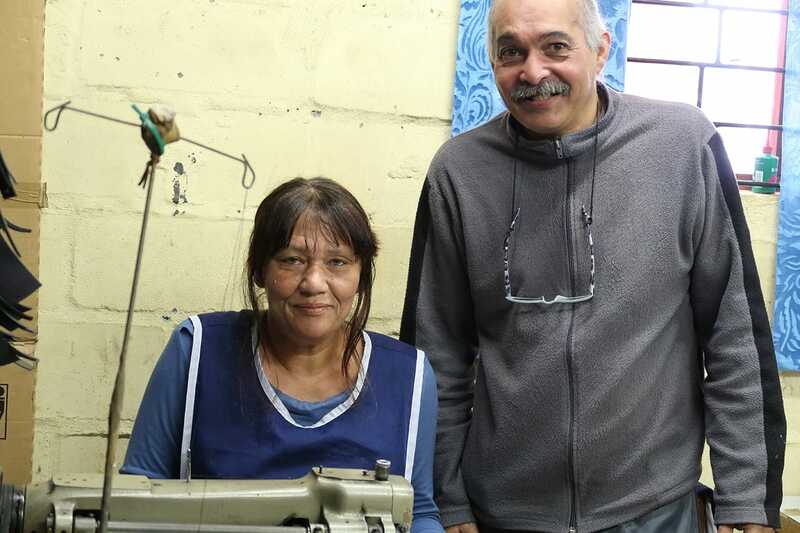 These two hard working individuals pictured below, work from a garage in Strandfontien Village, producing many of the bags. 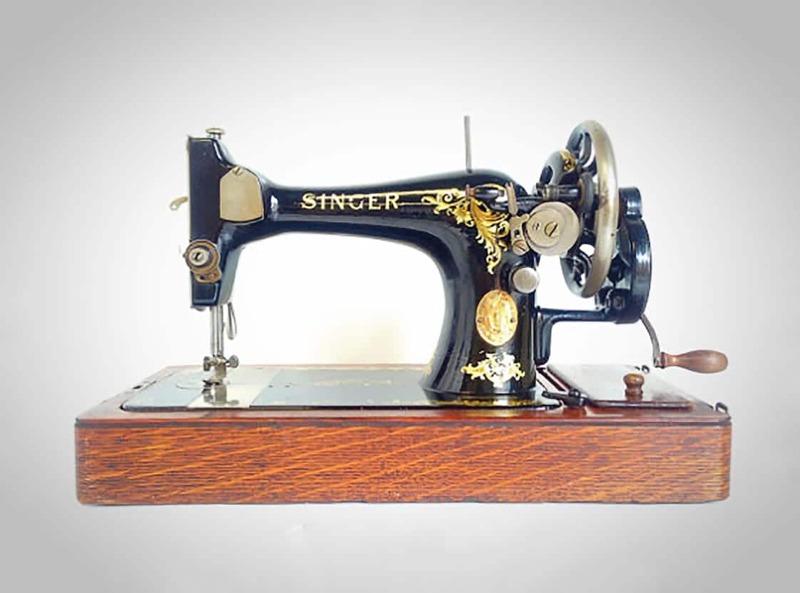 Susan has been sewing and making things since she was 16 years old, when she started experimenting on her mother’s old hand crank Singer machine, with fabrics purchased by the kilo from mounds of ‘anti waste’ which was sold in Fordsburg, Johannesburg. 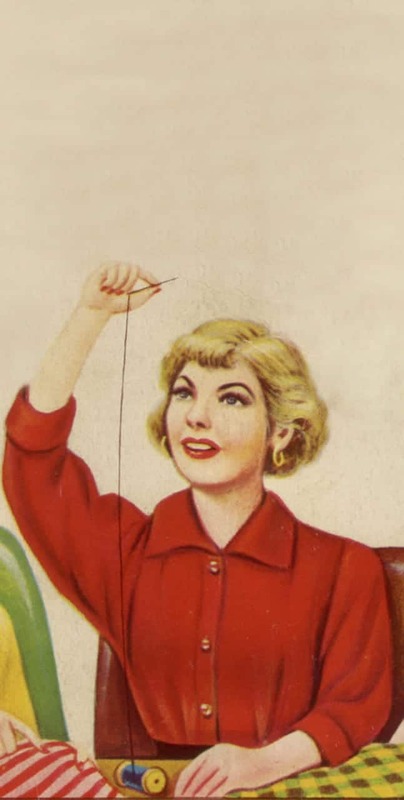 As well as a lifetime of sewing, she has worked in the film industry as a wardrobe stylist for more than 20 years. 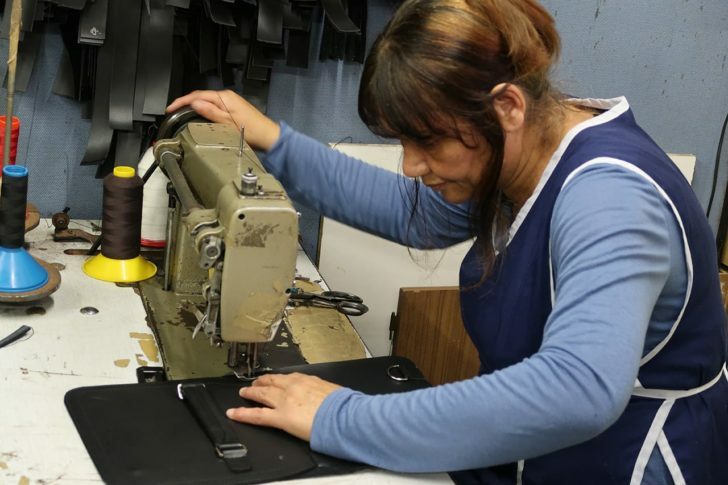 For the last few years she has been teaching sewing to teenagers at a Waldorf High School in her area.